Step 1 : First Choose Folder which you want to Hide. >> And Thats it! 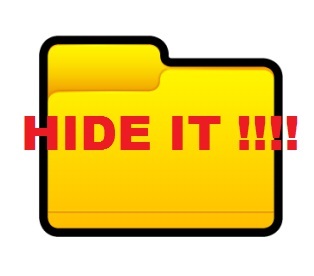 Your Folder "image.jad" has been Hidden. >> When you want to access this folder "image.jad" then just Rename "image.jar" Folder to "image.ja"